Diced chicken is combined with cream cheese, cream of chicken soup and mixed vegetables. 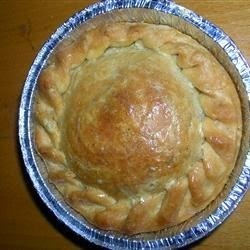 This tasty, very creamy filling is poured into a pastry-lined pan, covered with a top crust, and baked until the pie is tender and golden. Caribbean Sangria Recipe: Make Your Homegating Parties Fancy!